Military HR Block discount? As a member of the U.S. military, you have a few options for filing your taxes for free or at a discount. The leading names in tax software, including HR Block, specialize in accommodating the special needs of military members and veterans, ensuring that you get all the deductions and maximum refund you deserve. *Note that the H&R Block military discount is actually not as good as the one we currently have for the general public, reservists, and veterans. (Not sure why?) To get the best price, use the better discount, as the software is the same! Military members will just be taken on a different path after confirming that they are in the military. H&R Block specializes in tax prep for military members. 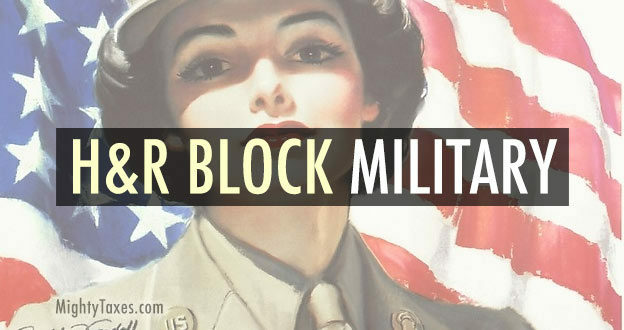 While there is no specific, separate edition of HR Block software for military members, their regular software is designed to meet the needs of active-duty military members and Veterans. Military OneSource MilTax is a suite of free tax services and software provided by the U.S. Department of Defense for military branches including the Army, Navy, Air Force, and Marines. OneSource provides their own free tax preparation and e-filing software designed specifically for the needs of active-duty military members. Learn more about free tax prep with OneSource here. Did you know that about 25% of military members use H&R Block to file their taxes? That means the only tax prep software that’s more popular is TurboTax for military & USAA. We’re happy to recommend that software as well, as they have great resources for active-duty military and Veterans. Learn more here. You’re out there risking your life for our freedom, and what do we give back? A discount on H R Block tax software. (Eh hem!?) That doesn’t seem like a fair trade, because it’s not. So, we’ll just end by saying thank you!